I've been posting for two and one-half months now and it appears that I no one is looking at my blog...so I'm not sure what's going on...there must be a problem of some kind. So, until I can take the time to figure it out I won't be posting. Kind of a waste of time at this point! Here's the card for our upcoming Hotel Rex show. We're going to be getting some good publicity from this show so it's very exciting. We have some really interesting images and the show should be great! I was the only photographer that incorporated the fact that the room was called the Alice B. Toklas suite...who happened to be the partner of Gertrude Stein...who happened to write a book called Tender Buttons...and that explains my image! The 81Bees show at the Hotel Rex is fast approaching. Looks like we're going to get some great publicity about it too. Opening Reception is Thurs., 3/27...will have more info next week. Stay tuned! Ok, so today's image is good! I really like how it came out...except I couldn't convert it to B&W using my Nik software because I kept getting an error message and it would shut PS down...so I had to use a PS B&W preset...which is ok...but it looked amazing using the other software. So...even having that issue I still feel good about today's image. An improvement over yesterday...for sure! Felt kind of down today on my photography. Not sure if I'm getting better...or worse?!? The daily photo is a great idea, I think, but sometimes I feel like I rush it...just to get it done...instead of being thoughtful about what I'm trying to accomplish. Need to think about this! 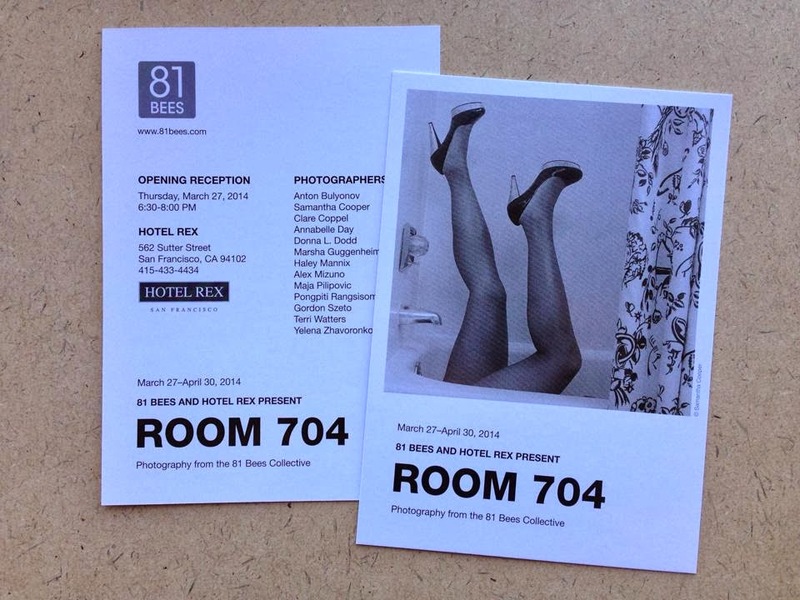 The 81Bees next show is at the Hotel Rex...opening reception will be Thursday, March 27th from 6:30-9pm. It looks like it's going to be one of our best shows! I'm working on the placement of the images on the wall and then the hotel will be hanging for us. There are some really awesome images! !